And walk away a hero. Here at Axero, we're 100% focused on helping our customers grow their businesses and streamline their operations. More often than not, the best way to do that is to share what we see is actually working for our customers. Sometimes, though, to really help people, we have to flip the script. For the first time in years, I'm at the front line of our sales efforts. As co-founder of this company, I'm no stranger to sales conversations. But this time, it has absolutely rocked my world … all in good ways. I'm talking to people before they become customers. And I'm getting an intimate look at what problems companies are having prior to implementing an intranet solution. 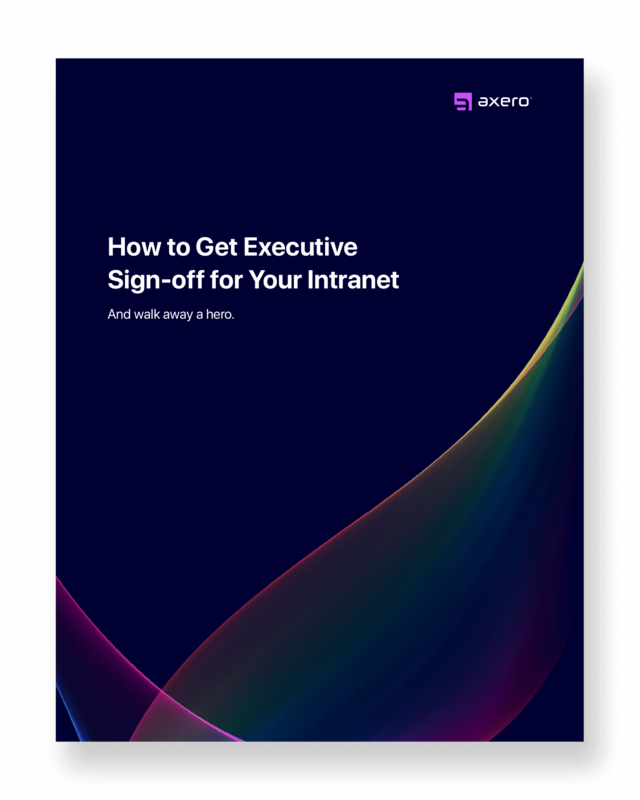 I discovered that there were four specific issues that executives cared most about – and that an intranet could solve quickly, easily and cost-effectively. The 4 most important pieces of information you need to make your case for an intranet. How email is costing you money, and how to overcome your email challenges. How to improve your internal communications to boost employee moral and save you money. How an intranet will help you cut the cost of meetings and customer support. If you intend to keep up with your competitors, increase company wide productivity, and grow your business, you must do what it takes to help your business thrive. Learn this and more by downloading your free ebook today. Just fill out the form and we'll send it to you instantly.